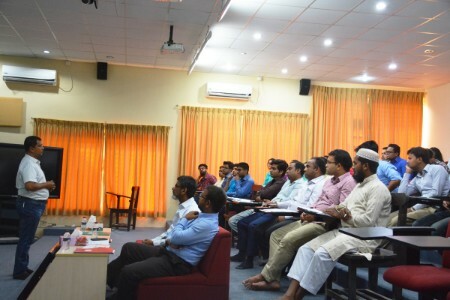 "On-site Workshop on BAETE Accreditation and Outcome Based Education" organized by the Institutional Quality Assurance Cell (IQAC) of Khulna University of Engineering & Technology (KUET) was held on 31st January, 2019 at 09:00 AM. Dean of Civil Engineering Faculty and Acting Vice-Chancellor of KUET Prof. Dr. Quazi Hamidul Bari was present as the Chief Guest in the inaugural session. Director of IQAC Prof. Dr. K. M. Azharul Hasan delivered welcome speech and anchored the session. 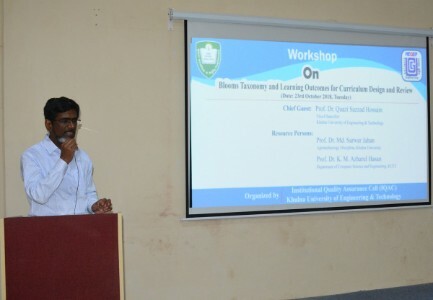 Dr. Anisul Haque, Resource person, BAETE and Professor, Department of Electrical & Electronic Engineering, East West University was present as the distinguished speaker. 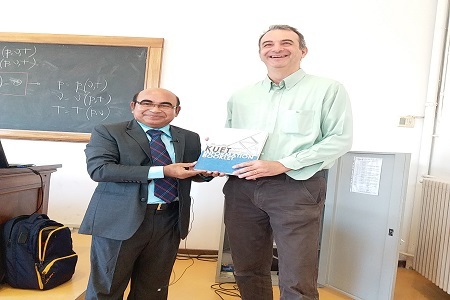 Dean of the Faculties, Director of the Institutes, Head of the Departments, Directors and Professors, Associate Professors, Assistant Professors of EEE Faculty of KUET took part in the workshop. 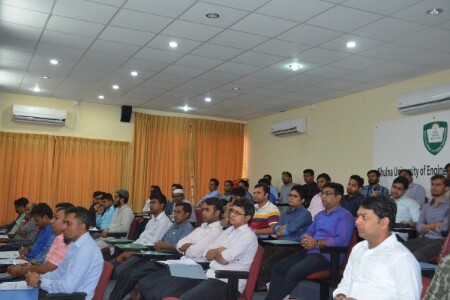 "Students must acquire knowledge through higher education and take responsibility to provide better future for mass people"
The Orientation Program of the newly admitted 1st year Bsc Eng, BURP and BArch students of Khulna University of Engineering & Technology (KUET) for the Session of 2018-2019 was held on January 24, 2019 at the student welfare centre of the university. The students and their guardians were informed about the academic procedures, rules and regulations including registration, examination systems, other academic matters, disciplines and co-curricular activities. Vice-Chancellor of KUET Prof. Dr. Quazi Sazzad Hossain told in his speech, "Students must acuire knowledge through higher education and take responsibility to provide better future for mass people. You have already arrived in front of an immense storehouse of science and technology. You shouldn’t deviate from the prime aim and goal of education. You have to be mentally prepared to obtain degree in time from this session jam free University. You should setup you mind to serve the nation in the future by the best use of your merit, because the cost of your education expenses have been provided by the taxes paid by the general people”. 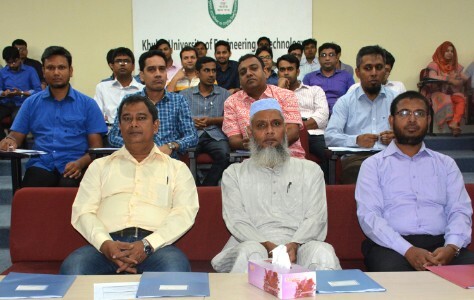 Newly admitted students of undergraduate course for the Session 2018-2019 were also introduced by the respective Dean of Faculties, Prof. Dr. Quazi Hamidul Bari, Dean of Civil Engineering Faculty; Prof. Dr. Mohammad Ariful Islam, Dean of Mechanical Engineering Faculty; Prof. Dr. Mohiddin Ahmad, Dean of Electrical and Electronic Engineering Faculty in the function. Director (Students’ Welfare) Prof. Dr. Shibendra Shekher Sikder spoke particularly on the rules and regulations matter and G M Shahidul Alam, Registrar, also delivered the welcome speech. Public Relations Officer Monoj Kumar Majumder was anchoring the program. Institute Directors, Heads, Directors, Provosts, Teachers, High Officials, freshers’ students and their Guardians were present in the function. At the end of the inaugural ceremony of the orientation program, different activities such as Blood Grouping activities organized by the KUET Voluntary Blood Donation Society “Dreams”, Activities of BNCC and "No Drugs, No Ragging, No Smoking, No Waste Littering" was observed by the Vice-Chancellor. It can be mentioned that 1065 students are admitted into 16 departments under 3 faculties of KUET in this year. In the new year, new books for the students of class one to nine "Textbook Festival 2019" as a part of countrywide free textbooks distribution program held at the Schools of Khulna University of Engineering & Technology (KUET) on 01 January, 2019 at 9:30 am. Vice-Chancellor of KUET Prof. Dr. Quazi Sazzad Hossain distributed new free textbook among the students as the Chief Guest. He thanked and expressed his gratitude to the Hon'ble Prime Minister of the People's Republic of Bangladesh and related ministry for countrywide handed over new textbooks to the students at the first day of the new year. 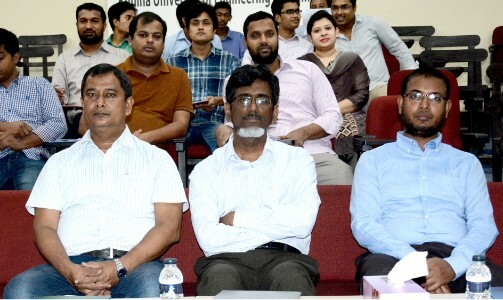 Professor of Physics Department Dr. Jolly Sultana, Professor of Civil Engineering Department Dr. S M Moniruzzaman, Registrar G M Shahidul Alam, Chief Engineer A B M Mamunur Rashid of KUET were present there as special guest. Among others Ayesha Siddiqa, Headmaster of Khulna Engineering University School, Md. Akbar Hossain Sarder, Headmaster of Unmesh Govt. 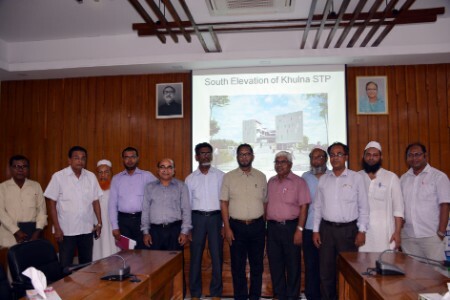 Primary School, Saida Parveen, Headmaster (In-Charge) of Khulna Engineering University School (Primary), teachers, students, guardians and others were also present at the occasion. Being continually elected as a Member of Parliament (MP) in the 11th National Parliamentary Election from the seat of Khulna-3, Begum Monnuzan Sufian, MP was given floral greetings by KUET Vice-Chancellor Prof. Dr. Quazi Sazzad Hossain on 31 December, 2018 in the evening. This time former VC of KUET Prof. Dr. Muhammed Alamgir, Director (Students’ Welfare) Prof. Dr. Shibendra Shekher Shikder, President of Teachers Association Prof. Dr. Sobahan Mia, President of Officers Association Engr. Md. Anisur Rahman Bhuyan and other teachers, officers were present there. In this time Teachers Association and Officers Association were separately given floral greetings. Two days long 5th International Conference on Mechanical, Industrial and Energy Engineering (ICMIEE-2018) was held at Khulna University of Engineering & Technology (KUET) on 23-24 December, 2018. Faculty of Mechanical Engineering of KUET organized the conference with the objective of ICMIEE to present the latest researches and results of scientists (Preferred students, PhD students, Post Graduate students, Faculties and Researchers). On 23 December at 09:45 a.m. in the Inaugural Session Chairman of the University Grants Commission of Bangladesh (UGC) Prof. Abdul Mannan was addressed as the Chief Guest. Vice-Chancellor of KUET Prof. Dr. Quazi Sazzad Hossain was addressed as the Chief Patron. Welcome Speech was delivered by the Chairman of ICMIEE 2018 Prof. Dr. Mihir Ranjan Halder and Vote of Thanks was delivered by the Secretary of ICMIEE 2018 Prof. Dr. Md. Shahidul Islam. After inaugural session, Prof. Dr. Muhammad Mustafizur Rahman, Chair, Dept. of Mechanical Engineering, College of Engineering, Wichita State University USA and Prof. Dr. Firoz Alam, School of Aerospace, Mechanical and Manufacturing Engineering, RMIT University, Melbourne, Australia presented the Keynote Speech. Approximately 200 eminent scientists, engineers, researchers and scholars from different universities from home and abroad including India, China, Canada, Saudi Arabia, Australia, Japan, the United Kingdom, the USA participated in the conference. A total number of 124 technical papers, including 2 Key-note Sessions, in 16 parallel technical sessions where research scholars, experts, engineers, professionals of related field exchanged views among themselves. 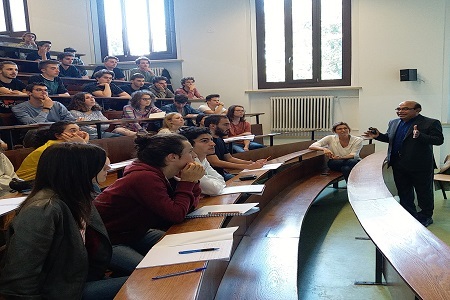 The main objective of ICMIEE 2018 was to create an effective platform for researchers and technical experts to share their recent ideas, innovations and problem solving techniques in the vast areas of Mechanical, Industrial and Energy Engineering. It was the great opportunity for both researchers and industrial communities to meet, discuss and share their research outcomes in the field of Mechanical, Industrial, Energy, Leather, Textile, Mechatronics and Chemical Engineering. Khulna University of Engineering & Technology (KUET) celebrated the Victory Day on December 16, 2018 by paying utmost respect to the country’s most illustrious sons who were brutally killed by the Pakistani occupation forces and their collaborators in the nine-month bloody war with Pakistan in 1971. KUET took elaborate programmes to observe the day in a befitting manner. On 16 December The national flag was hoisted in front of all important buildings at early in the morning. Drawing competition for children was held at the Student Welfare Center (SWC) to mark the Victory Day held at 9 am. At 9:30 pm “Gonosongeet” held at the Premises of Liberation sculpture “Durbar Bangla” at Campus. At 10 am Vice-Chancellor of KUET Prof. Dr. Quazi Sazzad Hossain placed floral wreaths on Liberation Sculpture “Durbar Bangla” on behalf of the University. Later, KUET Teachers Association, Director (Students’ Welfare), KUET Officers Association, Fazlul Haque Hall, Lalan Shah Hall, Khanjahan Ali Hall, Dr. M. A. Rashid Hall, Rokeya Hall, Amar Ekushey Hall, Bangabandhu Sheikh Mujibur Rahman Hall, Bangladesh Chattra League, Staff Association (3rd Class), Staff Association (4th Class), Master-roll Karmochary Samity, Bangabandhu Karmachary Parishad, KUET School, Bangabandhu Engineers Association placed floral wreath at the memorial. Friendly Cricket match between Teacher and Student held on the play ground at 3 pm. After Asr prayer a Milad-Mahfil was arranged at the KUET central mosque to pray for the departed souls of the nation’s bravest sons. Discussion Meeting and Cultural program were also held at the SWC at evening. The students of the Rokeya hall of KUET, celebrated Annual Dinner on 15 December, 2018 in the evening at the Hall Lawn with great enjoyment. Vice-Chancellor of KUET Prof. Dr. Quazi Sazzad Hossain graced the occasion as the Chief Guest while Director (Students Welfare) Prof. Dr. Shibendra Shekher Sikder was present as special guest. Provost of Rokeya Hall Prof. Dr. Mohammad Abu Yousuf presided over the function. Dean of Faculties, Director of Institutes, Head of the Departments, Directors, Provosts and Assistant Provosts, teachers, officers and students of Rokeya hall were present in the function. Khulna University of Engineering & Technology (KUET) observed the Martyred Intellectuals Day to commemorate those intellectuals who were killed deliberately by the Pakistan occupation forces and their local collaborators at the fag-end of the country’s Liberation War in 1971. To mark the day a discussion meeting was held at the Students Welfare Center on 13 December 2018 at 3 pm. Vice-Chancellor of KUET Prof. Dr. Quazi Sazzad Hossain was present as the Chief Guest while Director (Students’ Welfare) Prof. Dr. Shibendra Shakher Sikder was presided over the event. Dean of Civil Engineering Faculty Prof. Dr. Quazi Hamidul Bari, Dean of Electrical and Electronic Engineering Prof. Dr. Mohiuddin Ahmad, President of Teachers Association Prof. Dr. Sobahan Mia, Head of Urban and Regional Planning Department Prof. Dr. Md. Mustafa Saroar, Provost of Bangabandhu Sheikh Mujibur Rahman Hall Prof. Dr. Pintu Chandra Shill, Head of IEM Department Dr. Azizur Rahman, Registrar G M Shahidul Alam, General Secretary of Officers Association Engr. Md. Mahmudul Hasan, President of Bangladesh Chattra League, KUET Md. Abul Hasan Shovon, President of Karmochary Samity (3rd Class) Md. Mamunur Rahshid, General Secretary of Karmachary Samity (4th Class) Md. Imran Ali, President of Bangabandhu Karmachary Parishad Sonali Binte Shorif took part in the discussion meeting. This event was represented by the Public Relations Officer Monoj Kumar Majumder. On 14 December, early in the morning black-flag was hoisted at 6:00am atop all main buildings. At 10:30am Mourning Rally held with the teachers, officers, staffs and students of KUET that was lead by the Vice-Chancellor Prof. Dr. Quazi Sazzad Hossain. After Asr prayer Doa-Mahfil was held at the KUET central mosque to pray for the departed souls of the nation’s bravest sons. In the evening, Candle Light Procession was also held in campus. Bangabandhu Sheikh Mujibur Rahman Hall of KUET celebrated Annual Dinner and Indoor Games Prize Giving Ceremony 2018 held on 10 December, 2018 at 7:00 pm. Vice-Chancellor of KUET Prof. Dr. Quazi Sazzad Hossain graced the ceremony as the Chief Guest. Director (Students’ Welfare) Prof. Dr. Shibendra Shekher Sikder was present as special guest. Provost of Bangabandhu Sheikh Mujibur Rahman hall Prof. Dr. Pintu Chandra Shill presided over the function. Among others Provost and Assistant Provost from different halls and teachers from different departments were present in the function. Department of Industrial Engineering and Management (IEM) of Khulna University of Engineering and Technology (KUET) celebrated 'IPE FEST-2018' on 7-8 December 2018. The Inauguration Ceremony was started with the Rally on 7th December at 8 am. Acting Vice-Chancellor and Dean of Civil Engineering Faculty Prof. Dr. Quazi Hamidul Bari was present as the Chief Guest, Director (Student's Welfare) Prof. Dr. Shibendra Shekher Sikder was present as the Special Guest and Head of IEM Department Dr. Azizur Rahman was present as the Chairman of the event. The varieties events including- Case Study, Poster Presentation, Project Show, Gaming Contest were held after inauguration ceremony. Following the 'IPE FEST-2018' CAD competition, Job Seminar, Prize Giving Ceremony, Cultural Night, Grand Dinner were also held on 8th December. Vice-Chancellor of KUET Prof. Dr. Quazi Sazzad Hossain distributed prize among the winners in the event of prize giving ceremony. 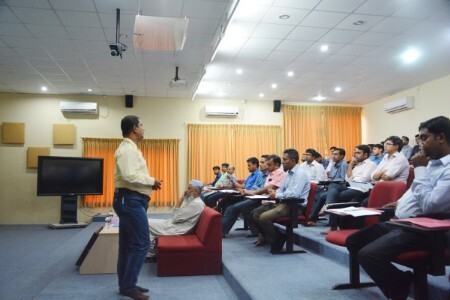 Head of IEM Department Dr. Azizur Rahman was presided over the event. Deputy Director (in charge) of Student's Welfare Dr. Ismail Saifullah and Senior Executive Officer of SBAC Bank Ltd. S M Rabiul Alam were present as the Special Guest. 450 students of different faculty from the 15 Universities were attended 'IPE FEST-2018'. Department of Urban and Regional Planning (URP), Khulna University of Engineering & Technology (KUET) and Bangladesh Institute of Planners (BIP), Khulna Chapter jointly celebrated the World Habitat Day, 2018 in KUET on 01 November, 2018. The theme of the Day of this year is “Municipal Solid Waste Management”. At first a rally moved around the campus and after that a discussion was held in the Dept. of URP. Prof. Dr. Quazi Sazzad Hossain, Honorable Vice-Chancellor, KUET, was the Chief Guest of the program. Prof. Dr. Mohammed Alamgir, Ex-Vice-Chancellor of KUET and Prof. Dr. Sobahan Mia, Director (Students’ Welfare) were present as the special guests. Tusar Kanti Roy, Secretary, BIP Khulna Chapter and Assistant Professor, Dept. of URP, KUET presided over the meeting and gave a power point presentation on Solid Waste Management in Khulna City: Challenges and Hopes. Md. Esraz-Ul-Zannat, Board Member (Research and Publication), BIP & Assistant Professor, Dept. of URP, KUET, delivered the welcome speech. Prof. Dr. Md. Ataur Rahman, Dept. of Civil Engineering; Mr. Md. Ikramul Hoque, Head of the Dept. of BECM, Tanmoy Majumder and Farjana Konika, students of URP Department took part in the question and answer session. Khondaker Mohammed Mohiuddin Ekram, Lecturer of the Dept. of URP conducted the discussion session. Teachers and students from different departments, officers and staffs of KUET attended the rally and discussion. 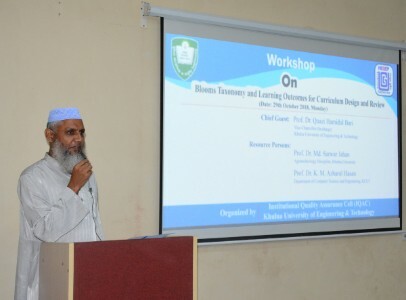 A Workshop on "Blooms Taxonomy and Learning Outcomes for Curriculum Design Review" organized by the Institutional Quality Assurance Cell (IQAC) of Khulna University of Engineering & Technology (KUET) held on 29 October, 2018 at 09:00 AM. Acting Vice-Chancellor and Dean of Faculty of Civil Engineering, Prof. Dr. Quazi Hamidul Bari was present as the Chief Guest in the inaugural session. Additional Director of IQAC, Prof. Dr. K. M. Azharul Hasan delivered welcome speech and anchoring the session. Prof. Dr. Md. Sarwar Jahan, Agro-technology Discipline, Khulna University; and Prof. Dr. K. M. Azharul Hasan, Department of CSE, KUET were present as the resource persons in technical session. Assistant Professors and Lecturers of Faculty of Mechanical Engineering of KUET were took part in the workshop. The admission test for academic session 2018-2019 of 1st year Bachelor of Science in Engineering (BSc Eng), Bachelor of Urban and Regional Planning (BURP) and Bachelor of Architecture (BArch) course of Khulna University of Engineering and Technology (KUET) held peacefully on 27 October 2018 from 10:00 AM to 12.30 PM. A total of 7282 admission seekers among 10730 eligible candidats for the admission test attended to the entry test for 1065 seats in 16 departments under BSc Eng., BURP and BArch courses. Vice-Chancellor of KUET Prof. Dr. Quazi Sazzad Hossain, Dean of the Faculty of Civil Engineering and Chairman of admission test committee, Prof. Dr. Quazi Hamidul Bari visited the examination centers. The VC of KUET thanked all the members of admission test committee, teachers, officers, employees and students of KUET, admission seekers and their guardians, Journalists and members of the law enforcing agencies for their cooperations to completes the admission test peacefully. The result of the admission test will be published on November 05 2018 and it will be displayed on the KUET website (www.kuet.ac.bd) and notice board of the University. 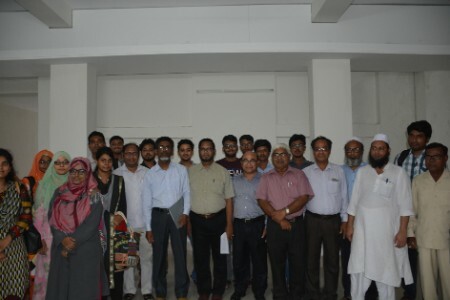 A Workshop on "Blooms Taxonomy and Learning Outcomes for Curriculum Design Review" organized by the Institutional Quality Assurance Cell (IQAC) of Khulna University of Engineering & Technology (KUET) held on 23 October, 2018 at 09:00 AM. Prof. Dr. Quazi Sazzad Hossain, Vice-Chancellor of KUET was present as the Chief Guest in the inaugural session. Additional Director of IQAC, Prof. Dr. K. M. Azharul Hasan delivered welcome speech and anchoring the session. Prof. Dr. Md. Sarwar Jahan, Agro-technology Discipline, Khulna University; and Prof. Dr. K. M. Azharul Hasan, Department of CSE, KUET were present as the resource persons in technical session. 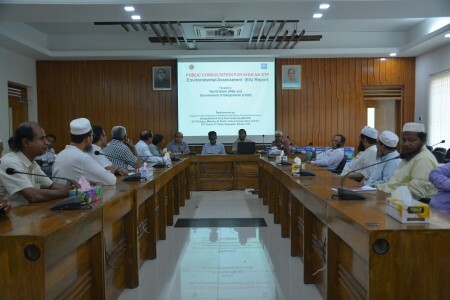 Assistant Professors and Lecturers of Faculty of Civil Engineering and Institute of Disaster Management of KUET were took part in the workshop. 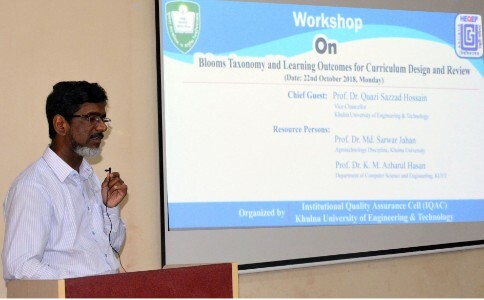 A Workshop on "Blooms Taxonomy and Learning Outcomes for Curriculum Design Review" organized by the Institutional Quality Assurance Cell (IQAC) of Khulna University of Engineering & Technology (KUET) held on 22 October, 2018 at 09:00 AM. Prof. Dr. Quazi Sazzad Hossain, Vice-Chancellor of KUET was present as the Chief Guest in the inaugural session. Additional Director of IQAC, Prof. Dr. K. M. Azharul Hasan delivered welcome speech and anchoring the session. Prof. Dr. Md. Sarwar Jahan, Agro-technology Discipline, Khulna University; and Prof. Dr. K. M. Azharul Hasan, Department of CSE, KUET were present as the resource persons in technical session. 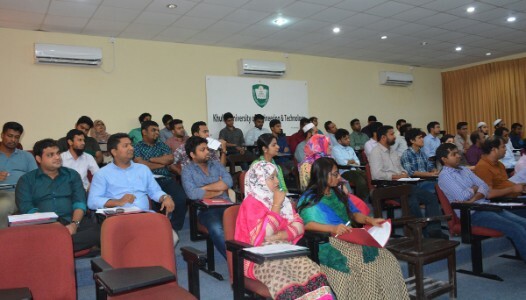 Assistant Professors and Lecturers of Faculty of Electrical and Electronic Engineering and Institute of Information and Communication Technology of KUET were took part in the workshop. Prof. Dr. Muhammed Alamgir, Ex. 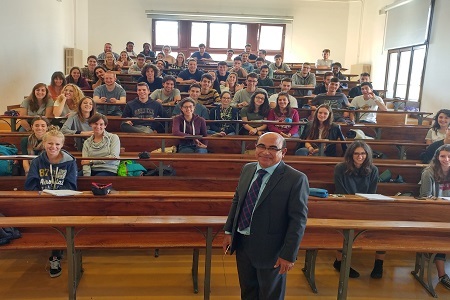 Vice-Chancellor of KUET and Professor of the Civil Engineering Department, KUET is now in Padova University, Italy as a visiting professor for 17 days. He has left Bangladesh on last 8 October and will return on 25 October, 2018. This visit is supported by Erasmus+ KA107 Programme of European Union. 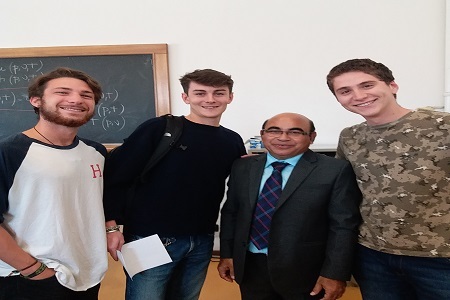 During the visit, he already has delivered Lectures to the 2nd and 3rd year students of the Department of Civil, Environmental and Architectural Engineering, on the topic entitled “Environmental Challenges facing Bangladesh due to Climate Change and Rohingya Influx". 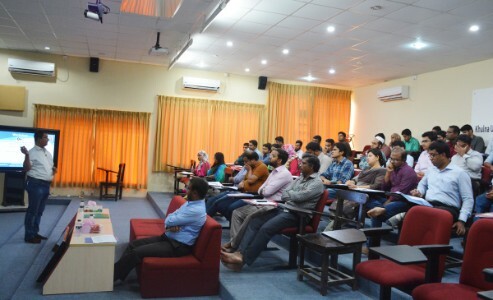 He has also delivered Lectures to the Postgraduate students on "Sustainable Landfill Techniques and Faecal Sludge Treatment in the context of Bangladesh”. Besides this, he will also attend in the Venice 2018 'International Symposium on Energy from Biomass and Waste' to be held in Venice during 15 to 18 October 2018. In this symposium, he will chair a session on "Biomass to Energy in Developing Countries" and present a technical paper on "Strength, Weakness, Opportunity and Threat Analysis of Solid Waste Management at KUET Campus". He will also attend the Editorial Board meeting IWWG and Working group meeting of a new Journal "Detritus". His host professor is Dr. Maria Cristina Lavagnolo of Padova University, Italy. 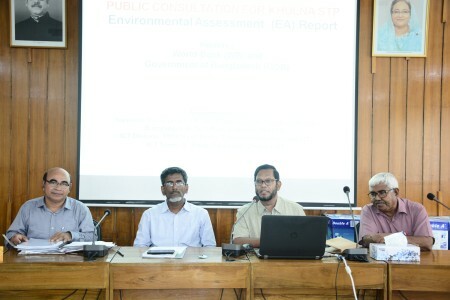 A meeting on 'Public Consultation regarding Environmental Assessment for the construction of IT Incubation and Training Centre at KUET' was held at Khulna University of Engineering & Technology (KUET) on 30 September, 2018 at 04.00 pm at the conference room of the University Administrative Building organized by the Bangladesh Hi-Tech Park Authority. Honorable Vice-Chancellor of KUET, Prof. Dr. Quazi Sazzad Hossain presided over the meeting. Former Vice-Chancellor of KUET, Prof. Dr. Muhammed Alamgir; Dean of Faculty of Civil Engineering, Prof. Dr. Quazi Hamidul Bari; Director of Institute of Information and Communication Technology, Prof. Dr. Bashudeb Chandra Ghosh; Director of Institute of Environment and Power Technology, Prof. Dr. A N M Mizanur Rahman; Head of the Department of Civil Engineering, Prof. Dr. Md. Shahjahan Ali; Prof. Dr. Khondoker Mahbub Hassan from Department of Civil Engineering; Prof. Dr. M. M. A. Hashem from Department of Computer Science & Engineering; Prof. Dr. Shibendra Shekher Sikder from Department of Physics; Environment specialist of Bangladesh Hi-Tech Park Authority, Dr. Md. Nurul Islam; Vice President of Khulna city committee of Bangladesh Awami League, Mr. Beaig Liakat Ali; Prominent social worker, Mr. Syed Ashraf Ali; Khadijatul Kubra, a student from Department of EEE spoke in the meeting. Representatives from Khulna University of Engineering & Technology, Bangladesh Hi-Tech Park Authority, Local leaders and Elites, Businessmen, Teachers, Students, IT Professionals and Entrepreneurs were present in the meeting.